Flaxseed meal is an excellent source of fiber and omega-3 fatty acids, both of which reduce the risk of heart disease. You can use a 3-to-1 ratio to replace butter or oil with flaxseed meal. Substituting 3 tbsp. flaxseed meal for 1 tbsp. butter increases the calorie content of your recipe slightly because 3 tbsp. flaxseed meal contains 112 calories and 9 g fat compared to 102 calories and 11.5 g fat in 1 tbsp. butter. However, the substitution reduces the saturated fat of your recipe from 7 g to 1 g and adds 6 g fiber and 5 g omega-3 fat. Determine the amount of butter or oil called for in your recipe. Multiply the amount of butter or oil by 3. For example, if the recipe calls for 1/3 cup butter, multiply by 3 to equal 1 cup. Measure the converted amount of flaxseed meal – 1 cup, in the example – and add it when your recipe calls for butter or oil. You may need to add 1 to 2 tbsp. water or other liquid to your recipe for each tbsp. butter or oil you substitute with flaxseed. Liquid needs vary from recipe to recipe. If you're substituting for oil, you made need a bit of water to create a batter of the proper consistency; if you are substituting for butter, you are less likely to need added water. For a less drastic change in your recipe, substitute only part of the butter or oil with flaxseed. For example, if the recipe calls for 1 cup butter, use 1/2 cup butter and 1 1/2 cups flaxseed meal. 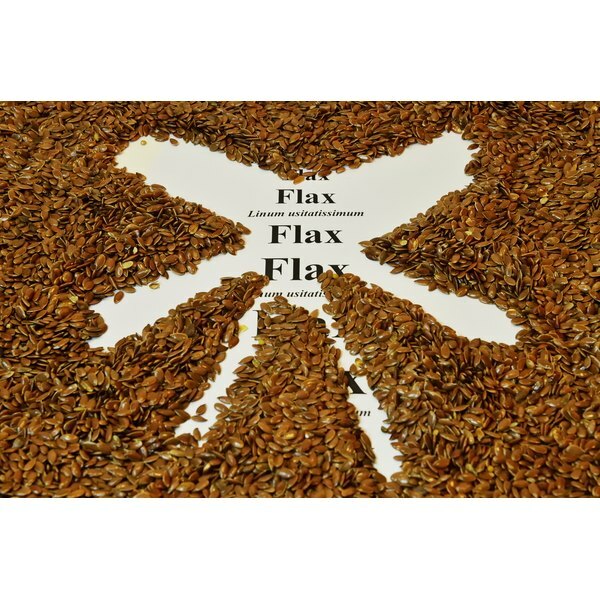 What Are the Benefits of Flax Seed Meal?